Vintage black and white 8x10 action photo autographed by deceased Hall of Famer A.B. 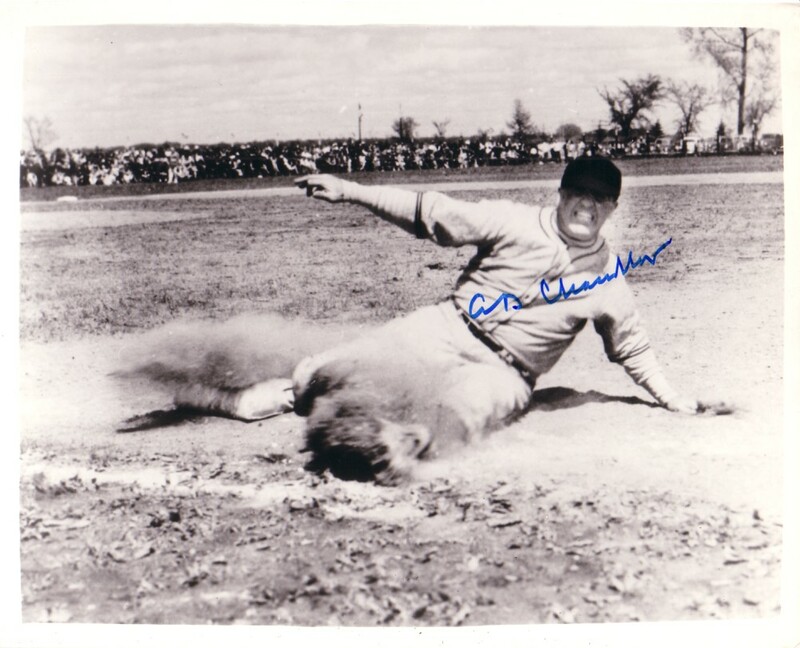 (Happy) Chandler, who was a minor league player who became the second commissioner of baseball and died in 1991. ONLY ONE OF THIS POSE AVAILABLE FOR SALE. With certificate of authenticity from AutographsForSale.com.